Chiropractic care is proven as an effective way to optimize the function of the nervous system, which sends and receives information to and from every cell, tissue and organ of the human body. This communication can be disrupted by physical, mental and chemical stresses, causing joints or vertebrae to become limited in movement or even to become locked into place. These stresses do not affect all patients in the same way. Some may not notice any symptoms at all, while others may experience pain, numbness and weakness. The benefits of chiropractic treatments have also been shown to improve conditions such as chronic ear infections in children, migraine headaches, menstrual cramps, pre- and post-partum back issues. Chiropractic treatments offer a safe, gentle means of realigning the spine. These treatments can be administered using the hands, a specialized instrument, or the movement of a table, and they offer benefits that include increased mobility and a reduction of pressure on the joints, muscles and nerves. They also allow the spine to regain its original position and function. If left uncorrected, spinal misalignments can cause the spine to degenerate, resulting in conditions such as osteoarthritis or degenerative disc disease. 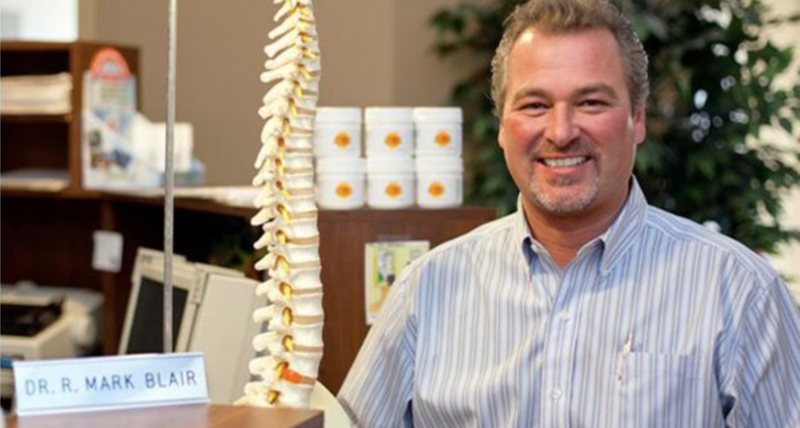 Professional chiropractic care from Dr. Blair at Blair Chiropractic & Massage Therapy Health Centre offers relief from pain and mobility issues, allowing you to heal naturally and enjoy the benefits that life has to offer. Dr. Blair provides treatments for all ages, from newborns to seniors.